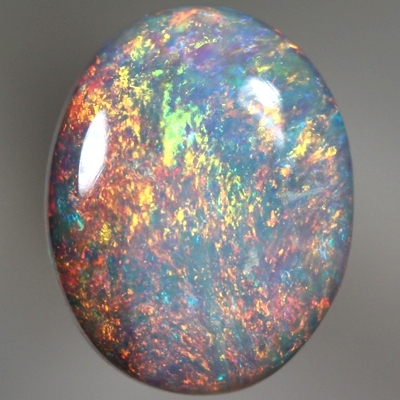 Bright orange and green sparkles always over turquoise blue in a spectacular show. 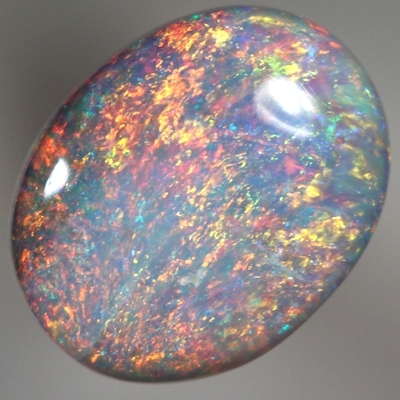 The colours are always moving in an ever changing show. 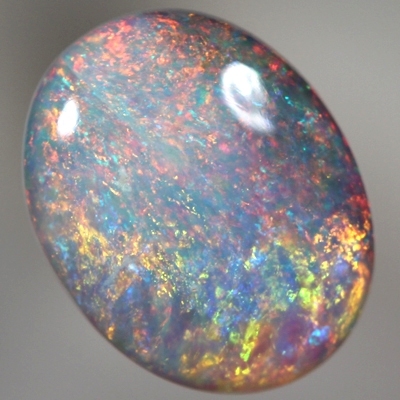 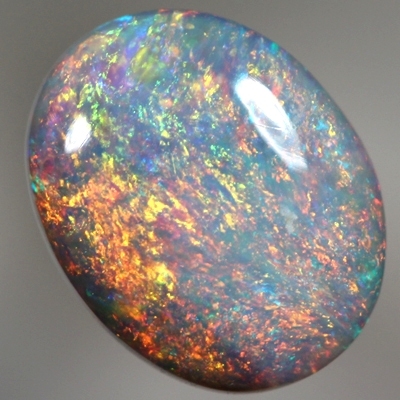 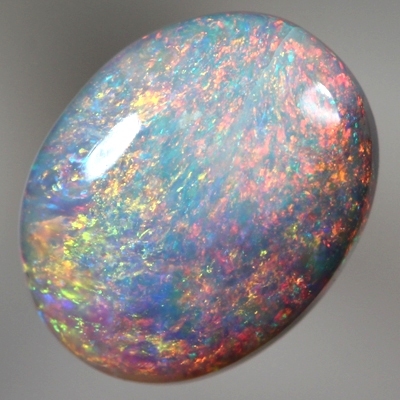 This breathtaking opal shows gorgeous and vivid colour from all angles.